Perfect for bus shelters and billboards and with a 130gsm, Guyenne's Blue Hide is the ideal cost-effective choice for sign-makers everywhere. 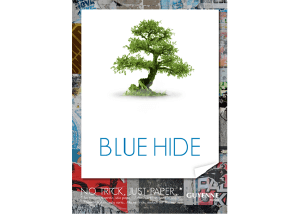 Blue Hide is a 130gsm, Eco-solvent blueback. All Guyenne Papier is available on a 1270mm X 60m roll. Feel It is a eco & solvent friendly, tear resistant, recyclable banner material alternative & is perfect for any artistic rendering. 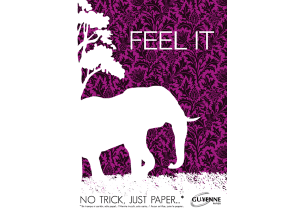 With a 180gsm, Feel It from Guyenne Papier is a “M1” fire proof non- woven paper & is ideal for all your sign-making requirements. Feel It is 180gsm, Eco-solvent and tear resistant. All Guyenne Papier is available on a 1270mm X 60m roll. We keep two varieties of IgniSafe Papers from Guyenne Papier. 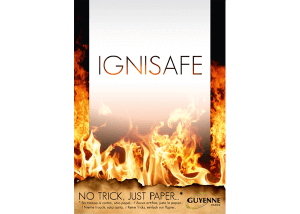 IgniSafe: White fireproof paper (150gsm & 200gsm available) & IgniSafe Duo (220gsm). This paper has a quick drying time with a satin finish aspect for the duo range & complies with safety regulations for public spaces. All Guyenne Papier is available on a 1270mm X 60m roll. 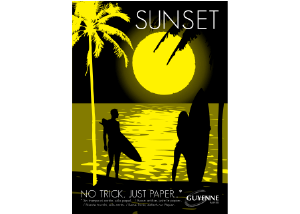 A unique & highly effective range from Guyenne Papier, the Sunset range is ideal for attracting day-time customers without the cost of illumination. With extremely effective contrasting techniques, Sunset is a 120gsm luminescent yellow paper is ideal for attracting the right clientele. All Guyenne Papier is available on a 1270mm X 60m roll. The Work of Art Frame or WOAF is the sign makers bread & butter range from Guyenne Papier and is simply a must have in terms of quality performance. 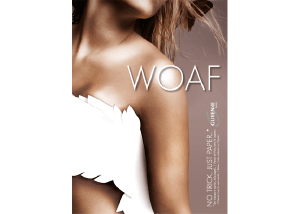 WOAF is available in (i) 150gsm, backlit; (ii) 200gsm, eco-solvent, satin finish; and (iii) 220gsm, eco-solvent, glossy finish. Satin coated paper for graphic and backlit posting Glossy surface & instant drying times. All Guyenne Papier is available on a 1270mm X 60m roll. Thinking about putting a great digital graphic on a wall or similar surface? 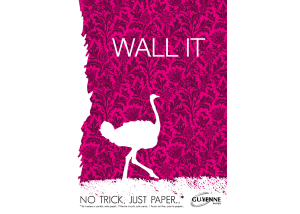 Wall It from Guyenne Papier is the answer. Tear resistant with a self-adhesive backing, Wall It has a luxurious matt print finish and is easily removed without any sticky residue left behind. Wall It is a 180gsm self-adhesive wall covering and decoration media. All Guyenne Papier is available on a 1270mm X 60m roll.